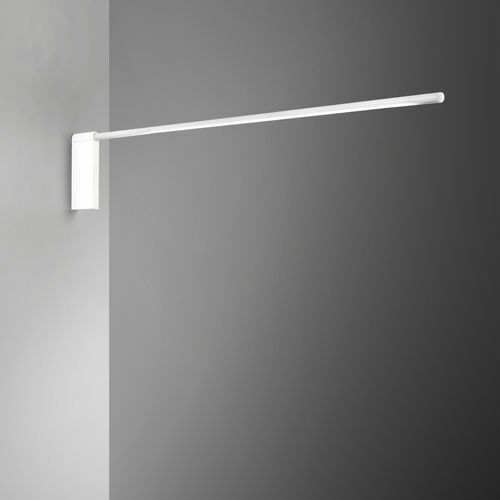 Series of adjustable wall-lamps, suspensions, table or standing. Fitted with linear LED circuits granting CRI 90 in order to achieve optimal color rendering for pictures lighting. Structure in white painted aluminum and satin methacrylate diffuser. The floor version includes an additional bracket that allows wall installation. Suspended versions are available, upon request, in modular special lengths.